The Canon is the official standard list of books that make up the Bible. People ask all the time, “why are those books in the Bible? Why aren’t other books in there as well?” People unfamiliar with Scripture are often critical of it without doing any research about where it came from or how reliable it is. One of the great questions regarding Scripture is, “Who wrote it, and therefore whose words is it speaking to us? According to Moses, who was reluctant to even represent God or to speak on His behalf, God was literally going to put the words into His mouth. 1. The current books of the Bible are known as the Canon, which literally means “a standard or measure”. 2. The OT canon was complete by 424 BC. That’s BC, folks. Jesus accepted its authenticity and its format, so I would be inclined to agree with Him. 3. The Hebrew People were fanatical about preserving their book without any variation or error, so much so that there was an entire profession (scribes) dedicated to copying it verbatim and preserving it for all time. 4. So, what about the New Testament? Isn’t is just put together from a bunch of sayings and fragments? How do we know it’s really what Jesus said? Consider this: Few scholars would dispute the integrity or textual purity of Caesar’s “Gallic Wars”, which is validated by 10 extant originals, plus fragments. 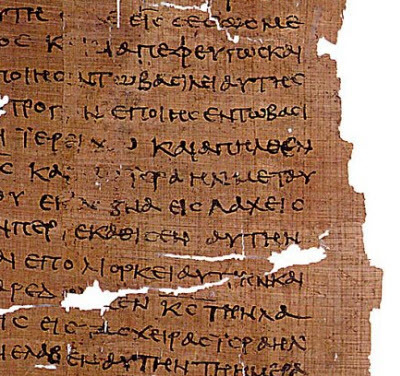 The NT is based on over 4,000 originals, with over 10,000 more partial copies or fragments. Why would anyone accept Caesar’s book but question the New Testament? It is important to recognize the Bible as canon because it demands that it be treated as a whole, as one book; it proclaims the authority of Scripture and its usefulness to Christians; and “the process of canonization would be described, not as an arbitrary act of decision or political imposition, but as a Spirit-directed process of discernment and judgment.” (John Webster, Dictionary for Theological Interpretation of the Bible, “Canon”, page 99). When most of them have never given it a deeper look. And validate its authorship, its source and historicity. Yet it has more proof of life than Caesar’s “Gaelic Wars”! And has more facts supporting it than I have room to mention! Would do well to remember that the Canon shoots both ways. This entry was posted in Daily Devotions, Poetry, Thought for the day and tagged Bible, Canon, Daily Wisdom, Devotional, Exodus 4:15-16, inspiration, Isaiah 59:21, Jesus, observation, spiritual by admin. Bookmark the permalink.